Hope you're all doing well and looking forward to the weekend? I'm actually in work tomorrow, so I haven't quite got that Friday Feeling, but I'm definitely glad to be home sat by the log fire! As a few of you may know I’m a total skincare junkie and love nothing more than pampering my skin. However, out of all the different types of skincare product over the years I’ve found that moisturisers are the hardest product for me to fall in love with. 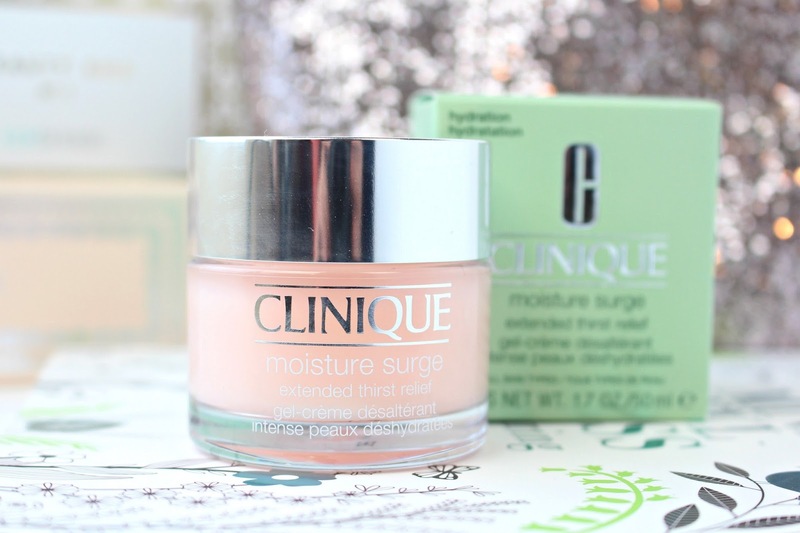 I like a lot, but there aren’t many that have really stood out to me apart from the Origins Make a Difference Plus moisturiser and now the Clinique Moisture Surge Thirst Treatment! I’m really excited to tell you all my thoughts on this product and I hope it will help you out, if you’re searching for a new moisturiser to love! I would love to hear from you in the comments section below and feel free to use my social icons if you would like to get in touch with me a little quicker. 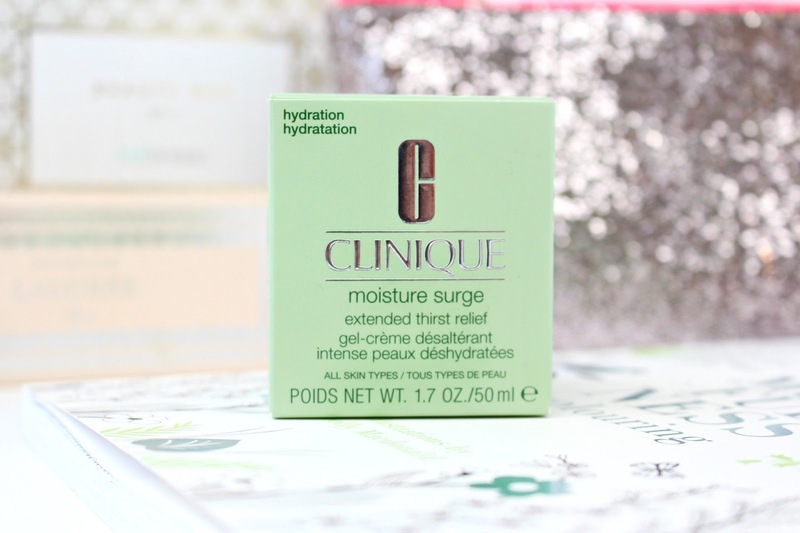 I first tried the Clinique Moisture Surge Extended Thrist Relief in a generous sample size that came in a gift with purchase, which I actually reviewed here. I pretty much knew from first use that this moisturiser was right up my street, as I do love a cream-gel consistency. My main concern is dehydration, so I tend to like the feel of a cream-gel formula as they feel very refreshing and hydrating on the skin. 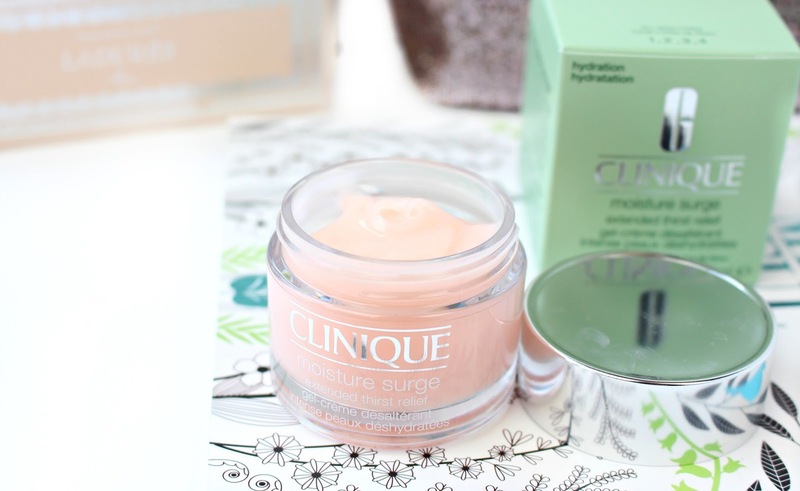 The product itself is described as a light, comfortable cream/gel that plumps skin with hydration for a full 24 hours. It aims to reduce fine lines, flakiness and tightness and leaves your skin feeling supple, firm and hydrated. I’ve been using it solely as my moisturiser, but it can actually be used for a midday boost (tapped over makeup) or as a 5-minute hydration mask! I must admit that I’ve found all of Clinique’s claims to be totally on point for this product! My skin is instantly hydrated after use and it’s an absolute dream to apply makeup over. It really does smooth and plump your complexion, which definitely makes you feel and look better straight after use. I’m so impressed with this moisturiser and even Daniel will use this when his skin is a little dry… You know it’s a winner when you can get the boyf hooked ha ha!. Overall, if you’re looking for an oil-free moisturiser to boost hydration then this product is a really good place to start, especially if you’re looking for a moisturiser that sits very well under your make-up. I also have to mention it’s super pretty packaging, which is equally robust and just adds to the overall fabulousness of this moisturiser. It has a huge thumbs up from me and it's replaced my Origins Make a Difference Plus in my daily skincare routine. If you would like to see a comparison, please let me know in the comments below. I hope you've enjoyed this review lovelies! Have you tried this product, or do you think this sounds like something you would like to try? I would love to hear your thoughts below. This sounds amazing I've got such dry skin especially in winter so I might have to try it!